Few composers throughout history have had such an impact on keyboard music as Baroque giant Johann Sebastian Bach. A prodigious talent at the keyboard, he was well known during his lifetime and after for his technical and improvisational abilities. Many of the works on this release began as improvisations that were eventually written down and have been performed by pianists all over the world for hundreds of years. This enormous release features all of the works that J.S. 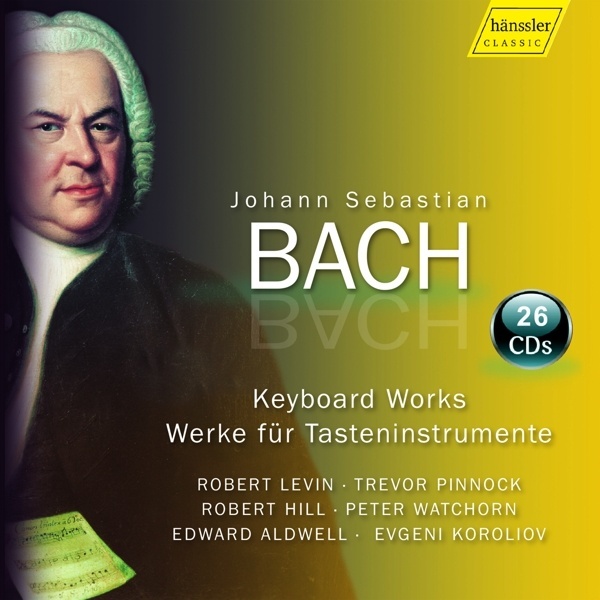 Bach wrote for keyboard throughout his life. From works from his young years that are rarely performed today to his famous Well-Tempered Clavier that has become a staple in every pianist's education, each and every work is included. Some of the finest pianists and harpsichordists in the Haenssler Classics catalog are featured, including Robert Levin, Trevor Pinnock, Robert Hill, Peter Watchorn, Edward Aldwell, and Evgeni Koroliov.